A “pulled” muscle, no matter how minor can be a serious matter. A muscle pull is a “soft tissue” injury and sometimes it becomes urgent to find an effective pulled muscle treatment. It is commonly caused by hyper-extension of the muscle or strenuous activities of muscle groups that have not been conditioned to exert and withstand the stress that one may find necessary in daily life. It hurts, it’s debilitating and it’s costly; and knowing how to care for them and preventing them is crucial. Anyone can “pull” a muscle at any given time. A severe muscle pull can result in a “torn muscle” or “rupture”. This tearing of muscle tissue usually damages the minute blood vessels (a.k.a. capillaries) causing localized internal bleeding (a.k.a. bruising or hematoma). Associated pain of a muscle pull is mostly the result of inflammation caused by the injury. One may think that athletes, are most susceptible to muscle pulls, but in fact, it is non-athletes that are far more readily to injure themselves and wind up at the hospital seeking muscle pull treatment. This might seem strange at first thought, but really, it’s not. Athletes are trained how to protect their muscles from excessive strain and are taught proper treatment of muscle pulls to prevent further damage to their muscles when they do experience a pull. It is also important that one does not confuse a muscle strain with tendon strain or “sprain”. Oft time a person may not recognize the difference, but believe you me, they are two creatures very different of nature. A sprain may be vastly more serious than a muscle pull because this refers to an injury of the tendons and/or ligaments and usually requires considerably more time for self repair. To reduce pain and swelling, as well bruising, of the muscle, early application of ice and maintaining the pulled muscle in a relaxed and elevated manner is critical. Contrary to popular belief, never apply heat to a pulled muscle. This will only increase the pain and swelling. Protect the pulled muscle from further injury by non-usage. Ice the muscle area (20 minutes per hour is advised). Ice is a very effective anti-inflammatory and pain-relieving agent. “Soft” ice packs (like frozen vegetables packages or “blue-ice”), applied to the area will help reduce swelling and inflammation. Compression should be a applied by with the use of elastic bandage or gauze covered and secured by tape. 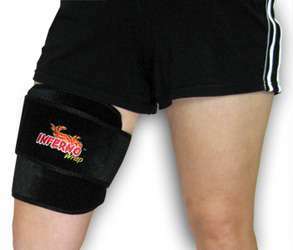 This will provide support and decrease swelling. Do not wrap too tightly. Elevate the injured muscle (when possible) to inhibit swelling. It’s important to mention that ice or heat should never be applied to bare skin. Always use a protective barrier to protect the skin from the frigid cold of ice, or the relaxing heat, that is being applied to the injury. Denying yourself this may damage the skin tissue at the cellular level which would only increase your problems. It is also a good idea to refrain from activities that cause muscle pain and discomfort or strains the pulled muscle group, at least until the discomfort and swelling has reduced.Also, using non-steroidal anti-inflammatory medications, like ibuprofen (for pain) and sodium naproxen (for inflammation) can help alleviate discomfort. For a simple muscle pull professional treatment is rarely needed, but there are some advantages to seeking professional consultation. A physician can better diagnose the injury and discern a tendon sprain from a muscle pull, thereby offering better advice on treatment. Likewise a professional can tell you whether a brace or crutches should be used during the healing process. Moreover, they can provide you with a prescription for more potent medications, if necessary to help reduce the affliction. Furthermore, in today’s workplace a “bed rest prescription” may be required by your employer to receive time off from work to recover and this can only be provided by a physician. For a minor pull, going to the doctor or hospital is really a waste of time and money. In most cases, one will recover from a pulled muscle injury in just 2 or 3 days. Minor pulls are common, especially if you practice sports. It’s a fact that minor tearing of the muscle is necessary to increase muscle mass through the building of new muscle tissue and going to visit a physician after every work-out or sporting event that you participate in would be a terrible waste of time and resources, not only yours, but of the attending physician as well.